Even though my blood pressure is low to normal, I personally tend to avoid margarine and butter, opting for olive or canola oil when I cook with oil at all. However, in the winter, I do indulge in a small sliver of butter on toast when I am working long hours doing massage or exercising and burning off calories quickly. But to me, a “sliver” of butter is about an 8th of a restaurant sized pad of butter, which is what most people would use! Fruit is the only sugar my body can tolerate. Most people find that as they eliminate the corn sweetened foods and trans fat foods, real food, vegetables, fruits and whole grains taste much better than they thought. Health Information World has a great article on reducing high blood pressure by implementing simple changes in your diet. According to their Medical Conditions blog, Trans Fats and High Fructose Corn Sweeteners are the Frankenfoods of today. As an important point, two specific processed foods are now obviously linked to obesity and raised blood pressure. They are hydrogenated, or trans-, fats and high fructose sweeteners. These freaks can justly be called ‘Frankenstein Foods’ as examples of science gone wrong. Trans-fats undergo a process that turns liquid oil into solid fat. We know this substance most commonly as margarine. 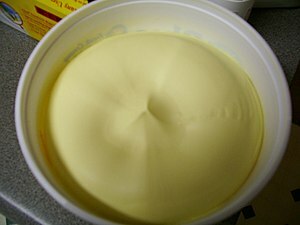 The features of many of those margarines are no coincidence ; the chemical structure of hydrogenated fat is analogous to plastic. Unnecessary to say, trans-fats don’t happen naturally. Ironically, margarine and other hydrogenated fats were once promoted as healthy choices to saturated fats. But we know now that natural fats contain trace minerals, amino acids and other nutrients essential to good health. Its hydrogenated fats that are the monsters. Consumers need to read food labels carefully and treat hydrogenated fats with caution. And if you have raised blood pressure you should avoid them like the plague. Naturally, with extensive coverage of the health dangers of trans-fats this advice may appear old hat. A number of progressive shops and food producers have even taken the first steps to ban trans-fats in their products. Another known cause of high blood pressure is high fructose syrups. These sweeteners were similarly promoted as healthy choices to the feared cane sugar. Food producers have pulled the wool over the publics eye by stressing the association of the name ‘fructose’ with fruit. Fruit contains fructose but it is in no fashion the same substance as the high fructose syrups, most frequently corn syrup, used in the food industry. Read the entire article, “Simple Steps To Follow To Prevent High Blood Pressure” here.